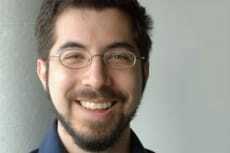 NYSCF – Robertson Neuroscience Investogator Dr. Ed Boyden of MIT Media Lab described his lab's latest neuron imaging breakthrough in Nature Methods. The research describes the ability of the scientists to image, for the first time, the entire nervous system (all the neurons firing) in a worm and zebrafish larva in three dimensions, in the whole animal. This achievement shows how signals move throughout the animals in real time. This technique will allow scientists to map how individual neurons respond to certain stimuli, ultimately, with a goal to image mammalian brains in the same way.